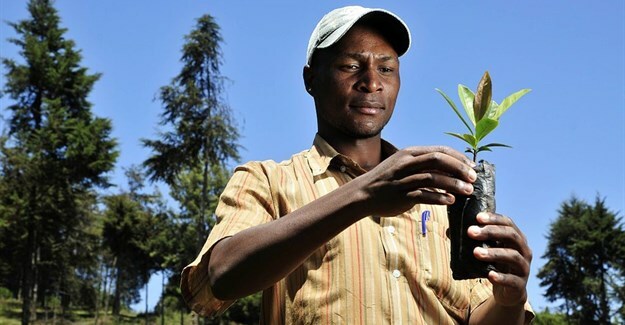 Agriculture and youth are a compatible pair, particularly in the African context. As one of the continent’s most critical industries and biggest sources of income – contributing a quarter of Africa’s total GDP and employing 70 percent of the labour force). It has the remarkable potential to empower what will be the youngest and biggest workforce in the world by 2040. Already half the continent’s population is under the age of 25, and 72 percent of these young people are either unemployed or vulnerable to the harsh societal challenges such as HIV and AIDS, as well teenage pregnancy. These astonishing statistics show no signs of diminishing either. With over 330 million young Africans set to enter the job market in the next 20 years, only a third of that number is forecast to find jobs. What this indicates is a growing need for workable solutions for the youth to become productive and part of the economic mainstream. This is especially true for agriculture, which has the potential to create jobs across the continent and serve as a driver of growth. However, the industry is currently lagging in building this growth largely because of a lack of access to knowledge, skills, education as well as land. Financial literacy and land issues are currently the main barriers to increasing the participation of young people in the sector. Access to arable land is difficult to come by for the majority of young citizens, even if they are interested in pursuing a career or business options in the agricultural industry. In Mozambique, for instance, rights of access to land are tightly controlled as land is owned by the state. The legal framework is currently not in favour of ordinary citizens. It is heartening, however, to note that land reform options that include privatisation are at least being debated. Access to and use of land is being explored as a means of reducing poverty and creating opportunities for the country’s people. Mozambique is by no means the only African country facing these types of concerns surrounding land. Land issues are typically driven by policy – or a lack thereof. In order to overcome these barriers, there is a need for policy makers that understand the intricacies of the industry to respond to the need for change. More robust and focused policies are required to bring young people into farming. It is, therefore, necessary to bring in and hone policymakers that are dedicated to promoting farming among the youth. Also key to bringing greater numbers of young people into agriculture is the use of technology and innovation. There is already a raft of successful solutions in several markets, including 2Kuze in Kenya and eKilimo in Tanzania, which was introduced by payments technology company MasterCard to bring farmers and buyers together through their mobile phones and digitise the agricultural value chain. With the continued growth of mobiles all over the continent, the introduction of these types of solutions will ramp up and help young citizens make a living through agriculture. Under the Absa affiliated initiative called Rise, a global startup community pioneering financial services with the aim of unlocking Africa’s potential, Zambian farmers now have access to a B2B marketplace, empowering farmers to sell fresh products directly to market, eliminating the need for middlemen. However, technology on its own will not be able to encourage the youth and transform the sector. There is a need for investment in the industry through public-private partnerships. One such example that is bearing fruit is the Zazu Marketplace (which is supported by a Barclays Global open innovation programme, Rise). Zazu is a digital marketplace that connects farmers to buyers, allowing farmers in Zambia to sell and have their produce delivered to the retailer through real-time analysis. Among other things, these public-private partnerships are helping close the gap between young people and the financing they require to work the land and build successful careers in the sector. In November last year, for example, US Aid introduced a loan facility of up to $24m to assist cashew, cereal and fruit smallholder farmers in West Africa. We have seen that growth at Absa too – with our book growing from significantly in the last three years in Ghana through USAID MRS (Maize Rice and Soya) initiative called FIN-GAP (Financing Ghanaian Agriculture Project). The aim of the project is to improve access to financial institutions by farmers in the rural areas of the Northern Ghana. This indicates that there are massive opportunities for growth if the sphere is strengthened and more young people are encouraged to join the industry. There is much room for development to harness the potential of agriculture in young people’s lives, especially if investments are made in the critical areas of improving financial literacy, building technology and innovation skills, and creating a new breed of policymakers in order to see the implementation of better policies. By reinforcing these priorities, agriculture’s role as a creator of jobs and driver of economic growth will become increasingly recognised and respected.